Sometimes you have an expectation of one thing (based on what you’ve been told), only to find that at the most inopportune time, the time allotted for the interview was cut in half; so you end up having to make due with what you have. 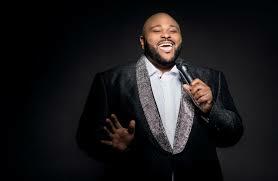 What I have is, that American Idol winner and Grammy-nominated singer Ruben Studdard is on tour presently. His tour leads him to the Bronx where he will be performing at Lehman Center for the Performing Arts on Saturday, March 30th at 8pm. Mr. Studdard will be singing songs from his latest tribute album Ruben Sings Luther. An avid fan of Luther Vandross, Studdard handpicked his favorite Luther songs such as “Here and Now,” “Always and Forever,” and “A House is Not a Home” which he will be performing on the Lehman Center stage, located at 250 Bedford Park Boulevard West, in the Bronx. Born in Frankfurt, Germany, Ruben never learned German because his father finished his military tour when Ruben was an infant and the family headed back to America, specifically to Birmingham, Ala, where Ruben grew up and intends to spend most of his life. He attended A&M University on a football scholarship earning a degree in music and has obviously done well via his talent. He put a little jazz band together called Just A Few Cats right out of college. The band sang at weddings, receptions and night clubs. “We started to appear together in different places. We weren’t doing that for too long before one of the background singers from the jazz band decided she wanted to try out for American Idol. She wanted someone to accompany her and asked me if I wanted to go. That is how I got to try out for American Idol,” explained the hit-maker. When asked if there was a particular process one has to undergo to become an American Idol contestant, Ruben replied: “You stand in line with other hopefuls and hope they see something in you that prompts them to put you on television. And if and when you win, American Idol works in conjunction with RCA Sony Music so those who win automatically get a guaranteed record,” shared the single without children performer. Ruben’s hip-hop influenced R&B record Soulful climbed to #1 on the Billboard charts and went double-platinum. He also won the NAACP Image Award for Outstanding New Artist. The album spawned several top ten hit songs including “Flying Without Wings,” the single “Sorry 2004,” and “Superstar,” the latter of which earned a nomination for Grammy Award for Best Male R&B Vocal Performance. He released his album “The Return” in 2006, ‘Love Is’ in 2009, “ “The Very Best of Ruben Studdard” in 2010, and “’Letters from Birmingham” in 2012.